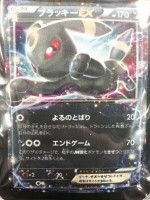 Umbreon-EX from XY10, Awakening of the Psychic Kings, has just been revealed super early! The card is #042/078. It seems the card was revealed in a magazine, though we have no confirmation where it originates from at this time (update: it’s from a promotional image advertising the new Pokemon TCG Lottery campaign that started at Pokemon Centers today). Thanks goes to @kaede_poke from Twitter for sharing the image! 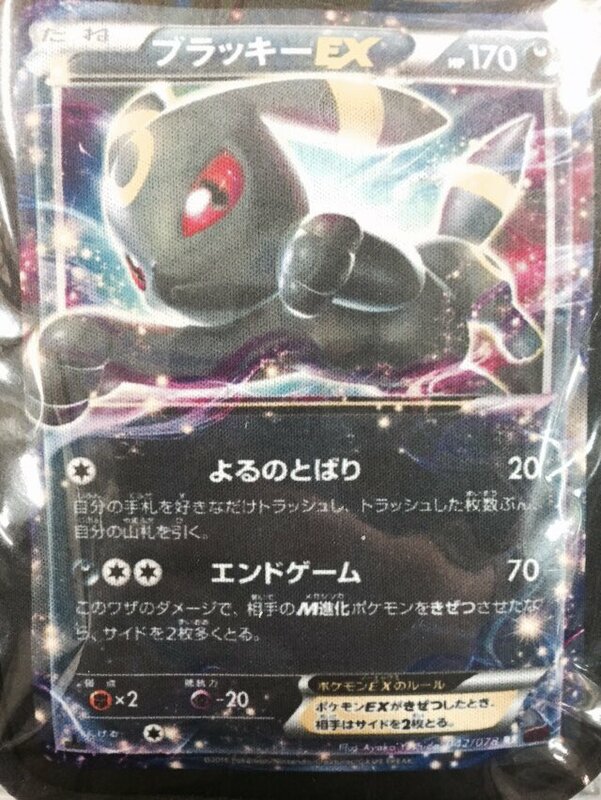 XY10 set will be released in Japan on March 18th. Thanks goes to Bangiras for the translation! [C] Night Veil: 20 damage. Discard any number of cards from your hand. Then, draw an equal number of cards from your deck. [D][C][C] End Game: 70 damage. If damage from this attack Knocks Out your opponent’s Active Mega Evolution Pokemon, take 2 additional Prize cards. 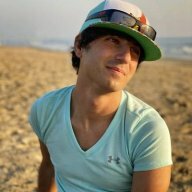 Asmer, double o squirtle, bbninjas and 1 other person like this. Christ! This thing can take 4 prize card. End Game is right. Calm down Umbreon. TrainerMa'am, redsky22 and Purrloin like this. Well then. Any dark deck that doesn't use 1 or 2 or these is just being dumb. The potential of getting 4 prizes when Mega decks are pretty popular is insane. Oh, dear God! What the actual hell?! This card was totally innecessary, but is cool nonetheless. I'm guessing Crobat and Faded Town will make this a rather interesting deck, IMO. Gabking5458 2016 MA TCG Senior Division Regional Champion! Because dark decks totally needed more power! Because Yveltal/Zoroark/Gallade totally isn't one of the top decks right now. TrainerMa'am, double o squirtle and redsky22 like this. I wouldn't call this the end of megas. With Empoleon and a Muscle Band you can hit 110 which will 2hko some megas, but I can't see this guy getting too many KOs unless you build your deck around him. Maybe some Energy Switch shenanigans will help. He's also weak to Fighting and has a dreadful 170 HP, which will definitely keep him in check. Still, he'll definitely be something to watch out for. Oh my gush. Can we get the remaining Eeveelutions as EXs please? I'm sick of TPC releasing just parts of pokemon "sets". For example, not releasing the other two Regis as EXs, not releasing Suicuine EX etc. They REALLY aren't lying with that effect! Might be difficult to get into the situation where you can land the knockout, but wow. 4 prizes! Good. Keep those Megas in line. We need more mega counters, more EX counters, more cards like this! Lol even more counters to Megas? There aren't any that are broken and they are already kept in check. To weaken them even more just encourages more skilless decks like NM or Vespiquen to be played. Megas are slower. See? What do people want? When Megas are EXs that evolve yet people hate them. This encourages more Big Basics. So what do people want? I like the first attack more. It can really help if your in an item lock. Being able to discard your unneeded cards for possibly better ones. Of course you would go through your deck faster, but the potential is real. I think Umbreon will also be good in Fire decks as an opener. For [C] it can get a bunch of Fire energy in the discard for ol' Blacksmith. Looking forward to seeing the FA! TrainerMa'am and Luispipe8 like this. Sounds like the announcement is gonna be a price increase on the Premium subscription haha. Arguably the best mega's right now are Rayquaza and Manetric. While 70 damage isn't all that strong against them, the effect is far too aggressive. We need more skillful cards, not cards like this. Its a welcomed edition since the eeveelutions have been turned into gimmicks. I would like to see more Dark type support cards. Now I don't regret making a Machamp/Ariados Deck instead of working more on my MetalRays deck. I am just glad that they made this. In expanded I feel it has lots of power, but not all decks run Megas. Maybe this means mega support in this set which was needed. It's first attack is also notable for decks like vespiquen to discard LOTS of pokemon and also get draw support. Makes lots of decks very scary. Fossil Pokemon, Mega Catcher, Others Revealed from XY10! XY10 Officially Revealed, Garchomp-EX Promo! 'Awakening of Psychic Kings' Revealed in 'CoroCoro' - Alakazam-EX and M Alakazam-EX! Japan's XY10 Set: 'Awakening of Psychic Kings,' Alakazam!